Ask anyone about climbing in Lion’s Head and likely you’ll get one of three replies- Where is that? It’s so beautiful there! Isn’t it really hard to access? Lion’s Head is nestled in a bay, that’s in a bay, on the Bruce Peninsula. It’s in Isthmus Bay, in the almighty Georgian Bay. The geology of the area is fascinating! A long long long time ago (400 million years give or take) the area that is now the Niagara Escarpment was a shallow tropical sea, home to crustaceans, living corals, and mollusks. As the sea dried, the minerals that dissolved in it became concentrated. Magnesium in the water was absorbed into the limestone, which then became a harder, slightly different sort of rock, called dolomite (thank you Parks Canada for the history lesson). Then a long long time ago (10,000 to 5000 years ago), water from melting glaciers flowed from the west (Lake Huron) and drained to the east (Georgian Bay) over the massive cliffs along the escarpment- that must have made for the most incredible waterfalls back then. Eventually, the water filled the bays and lakes, the waterfalls receded, and what we are left with are some pretty bitchin’ cliffs to climb that have some of the most amazing views. Yes. Yes it is. The first time I went was to Halfway Log Dump, a bouldering spot in the Bruce Peninsula National Park. Turning off of Hwy 6 onto Emmet Lake Rd, it’s a nice 1km hike to the water. I wasn’t expecting the view when we arrived- the most gorgeous blue water I’ve seen outside of the Caribbean, and gleaming white rocky beach! Taking a break after climbing The Kids Are Alright (V3) at Halfway Log Dump. As far as bouldering goes, it doesn’t get much better than a day of climbing with the sound of waves helping to keep you chill as you send. If you prefer routes then you’re in luck. Local crags include White’s Bluff, TV Tower, and Lion’s Head. I’ve never been to TV Tower, so I’ll save that for (hopefully) another day! Whites Bluff is a cozy little area also located after a hike along the rocky beach. It’s located across the bay from the more iconic and massive Lion’s Head climbing cliffs. Whites make you feel like you’re in an outdoor gym- it’s a short walk into the woods from the beach, then you’re nestled in at the base of the cliff with the trees at your back. The long stretch of wall goes down the shore, with some great 5.11 to 5.12 climbs to start. Spraying beta on Blood Sucking Pharoes. Crushing it on the aptly named Punisher. Then as you hike east along the base the cliff seems to soar into the sky! Those routes are way out of my league, but just walking around, staring up at the mighty limestone, is enough for me. Last spring a huge HUGE part of what is/was called the Hippie Wall came crashing off, taking its routes with it. A view through the trees of Isthmus Bay. The ‘Most Routes in the Area’ award goes to the Lion’s Head cliffs, boasting more than 15 different sections, each with a collection of sport, trad and mixed routes. The easiest of the climbs are 5.7 and 5.8, but don’t let that fool you. There is a beautiful hike in, about 30 min or so, that takes you along the Bruce Trail and up to the Lookout. From here you get to see how vast and crystalline Georgian Bay really is. Def a prime spot for a photo. Janey-super lady crusher and one of the best people you’ll ever meet. Isn’t it really hard to access? A spectacular view from Maneline (5.10a) of Nimbus (5.10b) and the Lion’s Head Lookout – can you see the lion? While there is no shortage of climbs at Lion’s Head, it’s getting to them that can be the challenge. Most other crags you approach from the bottom, simple enough. But the hike into Lion’s Head takes you along the cliff edge, so you gotta go down to get up (or something like that). The first time we went we knew the risks involved, so we hired a guide to show us what to expect. 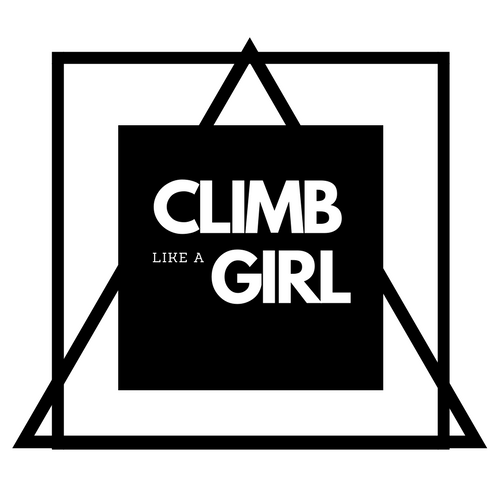 Leslie Timms of On the Rocks Climbing is, without a doubt, one of the best female climbers out there and knows Lion’s Head about as well as one can. She is also a fantastic guide and teacher- she showed us how to be safe at the cliff and build anchors to rappel in so we could climb from the base or climb up with a top belay. This is not the place you want to come without those skills or someone you trust to set up anchors with you. The cliff is steep and high, safety is always top of mind when we go (we always wear a helmet here, too- lot’s of falling rocks, especially in the spring). The Latvian Ledge is a good spot to rap in from and will take you down to a bunch of great climbs. After you’ve worn off all your finger skin and are ready for a beer, you still need to get back to the trail! The option to climb out is there on some routes, or you can scramble out at Stringer Gully. I swear the trail is longer on the way back. So this is far from a guide book for climbing on the Bruce, but good thing there are all those new ones out now, which btw are really helpful. Mostly I just wanted to share with you all a special place that has so much to offer and get your hands a bit sweaty while you think about all that great limestone just a few clicks up the road. The Bruce has more than just climbing- there’s also hiking, biking, diving, beaches, tours, and caves. And a new hostel just opened up this year, too- the Fitz Hostel in Lion’s Head is the first and only on the peninsula- a bit nicer place to stay if you’re not so much into the ‘dirtbag’ lifestyle. So grab some friends, pile in the car with your crash pads and chalk, and go have yourself some fun! The ‘golden hour’ as the sun sets on the cliffs.